Protect your posts from Facebook's new search feature by changing your privacy settings. It used to be so easy to fly under-the-radar on Facebook. You could prevent people from searching for you by name, then that went away. You could rely on old photos staying in the past, but then Facebook rolled out Memories so everyone can relive great (or awful) moments with you. You could count on years-old posts not being swept up in a search dragnet just because you used a certain keyword, but now that, too, is a lost hope. 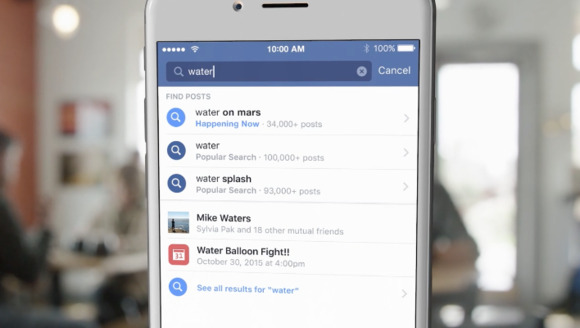 Facebook just made all 2 trillion public posts searchable. Facebook is always racing to topple its media and advertising rivals, and this move is its biggest shot at Google. Facebook sees 1.5 billion searches every day, but before now, the search results were kind of a mess. Facebook’s new search tool is far more useful, displaying relevant posts in top-down order—important organizations and public figures first, then your friends’ posts and group discussions, then the musings of Internet randoms. What this means for you: Before we dive into the bigger implications for Facebook, this change has huge ramifications for the average Facebook user. If you post on your Timeline without defaulting to “Friends only,” Facebook's new universal search will make your Timeline searchable to the world. But you can change this easily. Log into Facebook. Click the lock in the top menu to the right of the search bar. Avoid the privacy shortcuts and go straight to “see more settings.” Under Privacy Settings and Tools, it says, “Who can see my stuff?” Choose the option to “limit the audience for posts you’ve shared with friends of friends or public,” then select “limit past posts.” Facebook will ask you again if you want to limit old posts, so click again to confirm. It’s a slog, but it will make every single old post viewable to only your friends, so it’s worth the extra steps. Protect your past posts from going public by changing your privacy settings. Like Google, Facebook will offer auto-complete suggestions when you start typing in the search bar. 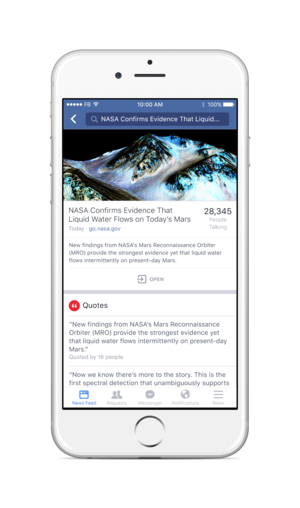 But here’s where Facebook veers into Twitter territory: The platform wants you to search for current events, so it can show you conversations happening around those events in real-time. Sound familiar? Twitter’s brand new Moments feature packages the best tweets around big moments and serves them up in an easily viewable way, then choose to follow specific events if you want Twitter to show you new information as it happens. You can also just follow along with a hashtag, but if you’re new to Twitter, Moments is an easy way to get started. But Facebook has a much wider audience than Twitter. Facebook has 1.5 billion monthly active users, and at one point saw 1 billion users in one day. Twitter’s devoted user base is hovering at 316 million monthly active users, so Facebook’s potential reach for its search tools is exponentially larger. Most of Facebook’s users live outside the U.S. and won’t have access to the new search features yet—they’re available now for English-speaking Americans on iOS, Android, and desktop—but once universal search is open to all, Facebook could cut Twitter where it hurts most: real-time news.